I played a lot of Alpha Centauri. It was the game that launched my game journalism career, really, with an article I pitched to The Escapist back in 2005. So when I heard Firaxis was reimagining the concept of humanity taking on the challenge of colonizing a new planet one turn at a time, I was ecstatic. 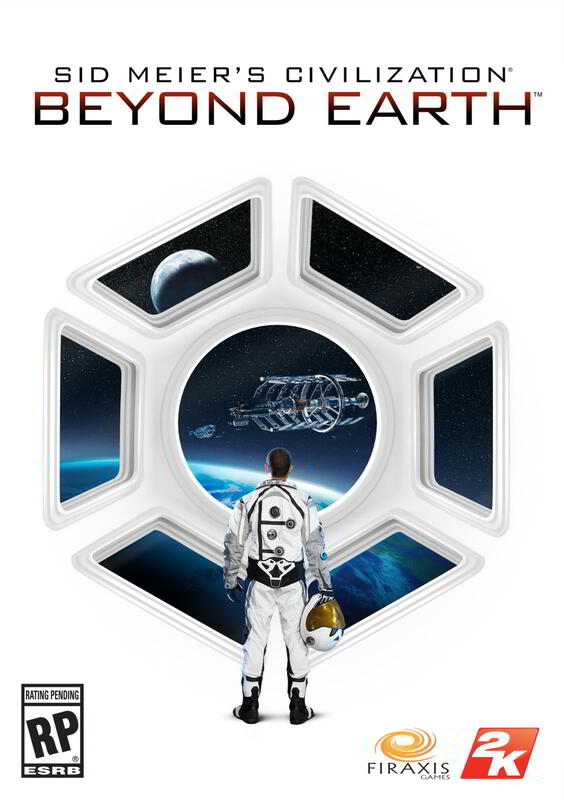 Part of the team that brought you Civ V and its expansions has been working on a new entry using the same engine called Civilization: Beyond Earth. There's significant differences between the new game and Alpha Centauri, and the team balked at even calling it a spiritual successor, but nevertheless the excitement of exploring a new alien landscape, and reacting to science-fiction cues instead of historical ones, is alive and well for me. As 2K Games and Firaxis announced just now at PAX East in Boston, Civilization: Beyond Earth will be arriving on PC hard drives this fall. 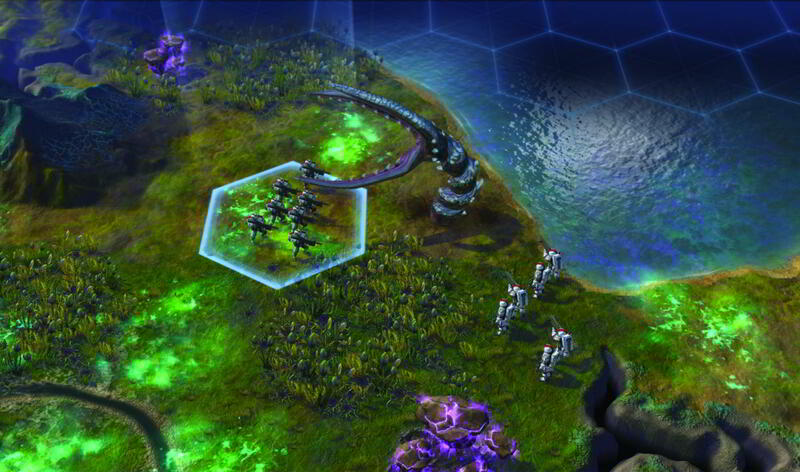 "Civilization: Beyond Earth is a completely new entry into the Civ series," said Dave McDonough, one of the designers on the game. "It does share the theme of settling an alien world with Alpha Centauri, but it takes the question in entirely new directions and isn't about the history of a single planet like Chiron. "Our story begins with hundreds or even thousands of colony spaceships leaving Earth for potential new planets during an event called the Seeding," he said. "The idea is that every time you play a game, you pick up the story of one of those planet settlements." Brian Reynolds was the lead designer on Alpha Centauri, the first game created by the Firaxis studio formed from the ashes of Microprose. After it was made, Reynolds departed Firaxis to work at Big Huge Games and Zynga before eventually resigning to work on his own. I asked whether Reynolds was involved with the new project or if he gave it his blessing. The answer I got back was a bit cold, which led me to believe his input wasn't desired. "Brian left Firaxis over a decade ago, and he is not involved with this project," they said. It sounds like there was a desire not to necessarily distance this new game from its predecessor but to allow it to grow and breathe on its own. Give it some space, so to speak. I got to talk with the team at Firaxis developing the game before the 2K panel at PAX East 2014 and I learned a lot about how it worked. You begin back on Earth, and make decisions on the kind of equipment you take with you to the stars. There is a set of 8 political factions, and they are as distinct as they can be, but the team really wanted to make every playthrough feel unique. "There is a set of 8 factions, but players can choose their colonists, cargo, and choice of spacecraft during the seeded start, each of which gives them a different outcome when the game starts," the team said. Will there be memorable characters like Lady Deidre Skye or Chairman Yang? "The factions do have named leaders that are representatives of their group," McDonough said. "But the identity that your faction has is much more under your control. The first thing you do in the game is customize the colony ship and the expedition itself, and the faction leader is just the first step in that process." "We wanted to take advantage of the fact that we didn't have to be held to fixed history," producer Dennis Shirk said. "When you started out in Civ V and you had Genghis Khan on one side of the map and Montezuma on the other, you had a very good idea of what your game was going to be like. Lots of pain and suffering, burning cities," he said with a laugh. "But because Beyond Earth is a total sci-fi game and we can do what we want, the leaders will have distinct personalities, and a flavor to them, but wanted each experience to feel completely different," Shirk said. The factions may not be as clear-cut in their characterization, but it does sound like the team has some interesting political ideologies which will lead to inevitable conflict.